‘The persistent inhumane conditions imposed on migrants, including refugees on the Greek islands and on the mainland are the primary cause of death and suffering for the people who have lost their lives and loved ones in the camps this winter. More deaths are inevitable unless enormous and rapid positive changes to living conditions and to asylum and migration policies are made. The EU, Greek authorities and UN agencies have presided over abject breaches of human rights for too long. The right to seek and enjoy asylum from persecution provided for in the Universal Declaration of Human Rights has been rendered all but nugatory. 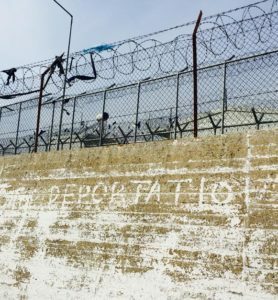 The Last Rights Project is calling upon states, including Greece, to adopt binding international standards to protect and pursue the rights of dead and missing migrants and their bereaved family members. 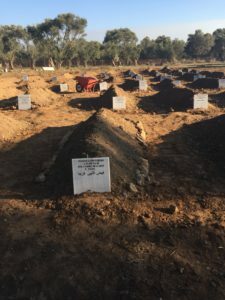 Every death on or following a migratory journey, including in camps and in state custody, whether accidental or by design, must be investigated. Pathology and forensic expertise is essential and may identify among other facts the physical causes of a death but does not address the underlying and causal factors. Death tolls continue to rise well after arrival from dangerous journeys. This cannot be treated as “normal” with states left effectively immune from responsibility. * Quote from a refugee banner.